Our company has gained recognition in the field of supply and trade of Roman Blinds such as Wooden Venetian Blinds which are known for their outstanding quality and awesome design. These are developed and designed according to the latest industry norms and regulations. These roman blinds have high functional life and are available at reasonable prices. Our Wooden Venetian Blinds are known for their quality. These wooden venetian blinds are developed and designed by the leading industry experts keeping in mind the latest corporate norms. Further, these are available in wide ranging specifications to cater to the ever-growing demands of the customers. 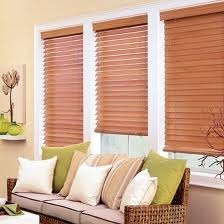 These wooden venetian blinds have high quality and long life. Looking for “Wooden Venetian Blinds”?